Shares of Dish TV India hit a 10-year low of Rs 19.10, down 15 per cent on the NSE in intra-day trade. Shares of Dish TV India hit a 10-year low of Rs 19.10 apiece, down 15 per cent on the National Stock Exchange (NSE) in the intra-day trade on Monday, despite clarification that the company had no dealings whatsoever with Nityank Infrapower and Multiventures Ltd, as per the media reports. Today, the stock climbed as much as 11 per cent to Rs 24.80 in the intra-day session on NSE. On the downside, it slipped 23 per cent from the day's high to Rs 19.10. At the time of writing this report, It was trading at its lowest level since January 28, 2009. In the past two trading days, the stock of Essel Group company has tanked 43 per cent from level of Rs 33.55 on Thursday, after the media on Friday, reported that a link has emerged between Essel Group and a company being probed for suspect demonetisation deposits. ECL Finance, lending arm of Edelweiss Group, and IIFL Wealth Finance sold 24.4 million shares of Dish TV India, equivalent to 1.5 per cent of company equity, on Friday. IIFL Wealth Finance sold 12 million shares at price of Rs 24.23 per share, while ECL Finance offloaded 12.4 million shares at Rs 23.2 per share on the NSE, bulk deal data shows. In a letter to stock exchanges NSE and BSE on Sunday, the Dish TV India said, "In response to communication received by the company in July 2018 from the Serious Fraud Investigation Office's (SFIO), seeking information relating to Nityank Infrapower and Multiventures Ltd, while providing requisite information/replies including relating to scheme of arrangement for amalgamation of Videocon D2h Ltd with and into Dish TV India, the company had categorically denied having had any transaction with Nityank and also confirmed that Nityank is an independent entity and does not belong to Essel Group. Further, there was no reference to demonetisation in the query raised by SFIO." Other Essel Group entities, from whom certain information/documents were sought by SFIO, had provided those information/ documents and subsequently no further information has been sought, the company said. "Hence to our understanding the matter stands closed for the company and Essel Group entities. Media reports alleging involvement of Essel Group entities is being done only with malicious intent and legal action as advised and appropriate are being initiated by Essel Group in this regard", it added. 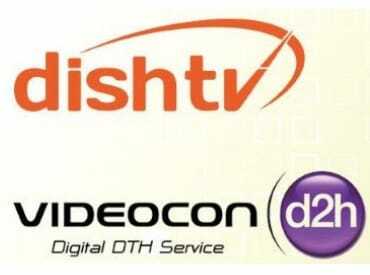 At 10:50 am, Dish TV India was trading 7 per cent lower at Rs 20.75 on the NSE. In comparison, the Nifty 50 index was down 0.61 per cent at 10,715 levels. The trading volumes on the counter jumped more than four-fold with a combined 88.52 million equity shares representing 5 per cent of total equity of Dish TV India changed hands on the NSE and BSE so far.